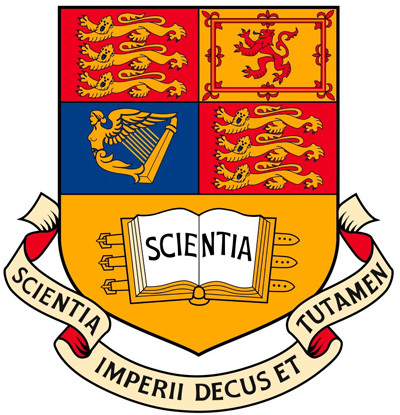 We don't really have a mascot, but we do have a motto: "Scientia Imperii decus et tutamen," which means "knowledge is the adornment and protection of the Empire." Aleph, Babar, CALICE, CMS, COMET/PRISM, DZero, LHCb, LISA, MICE, MUCOOL, Neutrino Factory/Muon Collider, Project X, SciBooNE, SuperNEMO, T2K, ZEPLIN III. DZero, MUCOOL, Project X, SciBooNE, and accelerator collaboration with MICE and the Neutrino Factory/Muon Collider. Currently we have nine faculty (SciBooNE, DZero and the accelerator collaborations with NuFact and MICE), two postdocs (DZero and MICE), five grad students (SciBooNE and DZero), one research fellow (DZero), one Fermilab International Fellow (DZero) and two Fermilab-Imperial Joint Fellows (MUCOOL, Project X). For DZero: trigger, Level Three (and grid) computing, leadership of Higgs search and B physics groups; RF cavity R&D. For SciBooNE: proposal and leadership of collaboration, design of muon range detector and charged current quasi-elastic analysis. Discovery of the Higgs (at both the Tevatron and LHC), precise measurements of CP violation parameters in the quark sector, precise measurements of neutrino masses and mixing angles and the hunt for CP violation in the lepton sector, as well as discovery of dark matter, gravitational waves, the search for Majorana neutrinos and development of the next generation of accelerators. WHAT SETS PARTICLE PHYSICS AT IMPERIAL COLLEGE LONDON APART? 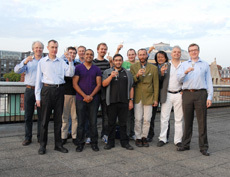 We are one of the largest particle physics groups in the United Kingdom, with nearly 150 people. We have a broad range of experimental efforts covering accelerators, collider physics and neutrino physics. We also have nine current and former spokespeople from 11 particle physics collaborations among our faculty. The Science and Technology Facilities Council, Royal Society and Fermilab. Fermilab (but don't ask us what we said when CERN and J-PARC posed the same question). 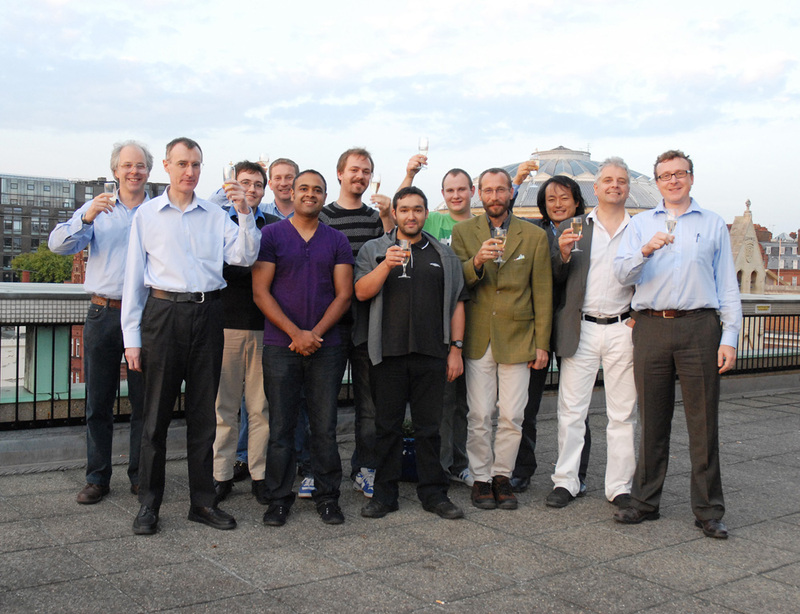 Imperial College physicists at the Blackett Lab in London. Front row from left: Ray Beuselinck, Ajit Kurup, Leo Jenner, Jurgen Pozimski, John Hassard, Morgan Wascko. Back row from left: Ken Long, Nicolas Osman, Gavin Davies, Joe Walding, Pawel Guzowski, Yoshi Uchida.